Corticosteroids, also commonly called steroids, are an anti-inflammatory class of drugs that are used to treat a wide range of inflammatory diseases. The drug is an analogue of the corticosteroids that are naturally produced in the human body within the cortex of the adrenal glands that sit atop the kidneys. These hormones play key roles in the body. Corticosteroids mimic the action of these hormones. Natural corticosteroids are roughly classified into two categories: Mineralocorticoids that are responsible for mineral and water balance in the body and Glucocorticoids which have metabolic, anti-inflammatory, immunosuppressive, anti-proliferative, and vasoconstrictive effects. A variety of drugs are included in the corticosteroids family such as Dexamethasone, Prednisone and its derivatives, Fludrocortisone and Hydrocortisone (Cortisol). These drugs are available as topical formulations (for external use), intravenous and intramuscular injections and even as inhalational preparations. • Blood disorders like lymphoma, leukemia, hemolytic anemia etc. • Behavioral changes such as mood swings, confusion, irritability, depression etc. Perhaps the most common of the side effects of corticosteroids is stomach upset which initially results in abdominal discomfort and pain, bloating and cramps. The condition eventually leads to formation of stomach ulcers. Stomach ulcers can make a hole in the wall of stomach, leading to severe internal bleeding which reveals as blood in the vomiting. Such a condition is life-threatening as the patient can go into shock due to fall in the blood pressure. Such a patient must be immediately rushed to the nearest emergency department for prompt medical treatment. • DO NOT stop using corticosteroids cold-turkey! The use of corticosteroids should be tapered off by gradually decreasing their dose (ONLY upon doctor’s advice). The body can go into a withdrawal state if steroids are stopped immediately with signs and symptoms such as weakness, lethargy, low blood pressure and low blood sugar etc. • Do not use Non-Steroidal Anti-Inflammatory Drugs (NSAIDS) and steroids simultaneously as they increase the chances of stomach ulcers manifolds. 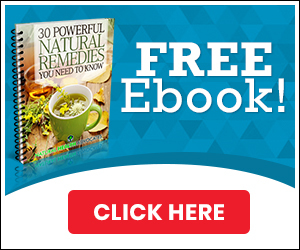 Read about a safe natural anti-inflammatory here. • If you see a doctor for another illness while already taking steroids, do tell the physician about it so that harmful drug interactions can be avoided. 1) Schäcke, Heike, Wolf-Dietrich Döcke, and Khusru Asadullah. “Mechanisms involved in the side effects of glucocorticoids.” Pharmacology & therapeutics 96.1 (2002): 23-43. 2) Pharmaceutico, Bollettino Chimica, and British Medicalloumall. “Drug interactions with corticosteroids.” Bollettino Chimica Pharmaceutico 114.401: 197S.